Electric vehicles (EV) are powered exclusively by an electric motor instead of a battery and gasoline. A controller regulates the power delivered to the vehicle, depending on the driver’s application on the accelerator pedal. EV use rechargeable batteries and are cheaper to operate. They help reduce the nation’s dependency on foreign oil and produce no tailpipe C02 emissions, thereby reducing our carbon footprint. But, what are some new and upcoming EV you can buy now or soon? The Nissan LEAF (Leading, Environmentally friendly, Affordable, Family) is a remarkable electric car that rightly features on most lists of exciting electric vehicles. It only has a 100 mile range, which actually suits the majority of people who statistics show drive less than 30 miles daily with most cars spending 97% of their entire life parked. The LEAF requires very minimal servicing, including servicing of the brake pads and tyres. The only concern you might have is raising the initial money to buy the car. It is faster than most V6 petrol engine cars off the line to 30 mph. Its synchronous electric motor generates 206 lb ft of torque and 107 bhp in almost total silence, reaching top speeds of 90 mph. It bursts from 0-60 mph in 11.8 seconds and things ease off from there. The LEAF is an ideal urban car with zero air pollution and an impressive silent operation that only produces a whistling sound to warn pedestrians. The Peugeot iON is an egg-shaped, four-seater electric car that feels like a Rolls Royce. 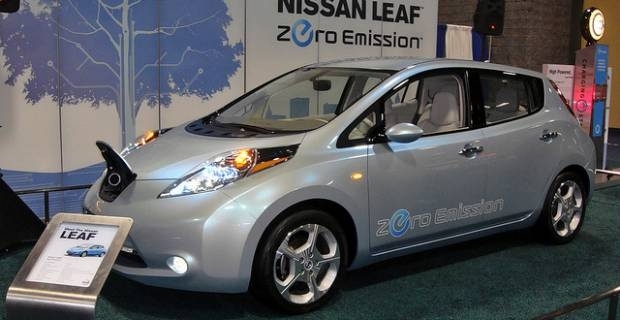 While it is not as emission efficient as the LEAF, it is a unique car that will get heads turning in the street. It is ideal for making short journeys within urban area, but might not be your kind of car if you don’t like the extra attention its unfamiliar body shape draws. And, although it may sound a little over optimistic, Peugeot says it expects to be selling approximately 50,000 iOns by the year 2015. One electric hyper car that we are anxiously awaiting to make its UK debut is the Rimac electric sports car. The Rimac Concept is scheduled for official launch in September 2012 at this year’s Salon Prive Supercar event in London. The Rimac is touted to have a 92-kWh battery capable of producing a 1,088 bhp. It is also said to have a top speed of 190 mph and ability to move from 0-60 mph in just 2.8 seconds. Look out for these highly unique and efficient electric vehicles to enjoy more eco-friendly driving.